Winter is coming up faster than what anyone would like to see. However, for those that are not going to be snowbird to a campground in warmer climates they will have to get the RV ready for winter. Since this is the case, people need to learn how to winterize an RV. Once people know how to do this, it will be quite a bit easier for them to go camping and know the RV will be ready for them the next spring. Since this is the case, let us all start to learn how to winterize an RV to guarantee you are ready the following spring, without any major surprises. When you are learning how to winterize an RV you will notice that you are going to need several different supplies on hand. Each of these supplies will help you out quite a bit, but also are needed to ensure the RV is able to withstand the winter weather that you are sure to have happen in your area. RV antifreeze that is non-toxic is the main item you will need. This antifreeze is going to make a difference in how well your water lines are going to hold up, but just like when a foreclosure company winterizes a home this will help to prevent the lines in the RV from freezing. The amount you will need depends on the amount of lines you have in the RV so for a Class A you may need more than a Travel Trailer because of the size. You will need to get a wand that is able to clean out your holding tanks for you. These tanks are going to be a source of freezing if they are not properly cleaned out. So you will want to make sure you look at the wands and find one that will make it easier for you to clean out your holding tanks. Hand tools to remove the drain plugs from your RV. When you are looking at your RV you will find that it is going to be important that you are able to take the drains off to get all the water out of the system and get the pipes flushed out. Below is a great winterization video from DNL Recreation up in Wisconsin where I live. Following these steps will save you money! The first thing that you will want to do is remove any inline water filters you would have in the system. These filters can be one that is a whole RV system or it could be one that is an inline system like you would have for drinking water. 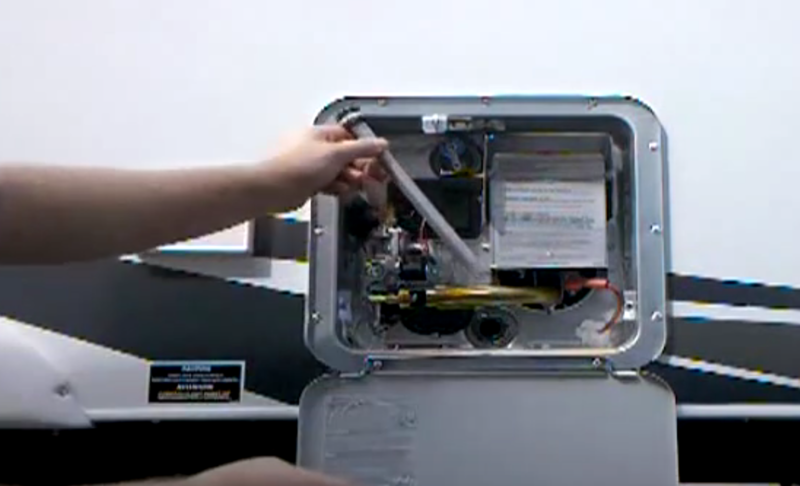 Once this is done, you will want to reconnect the lines back together to avoid making a mess, but make sure the filters are removed so you do not ruin your filter while flushing the water. Once you have removed all the filters you will be able to drain the water tank by removing the drain plug. You want to get as much of the water out as possible. 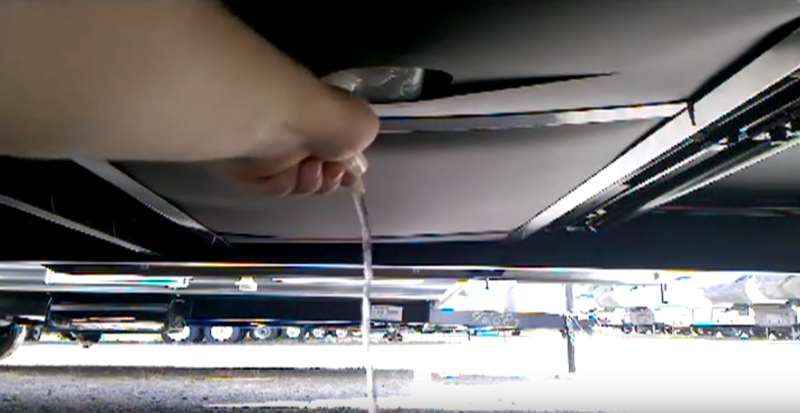 If the tank is removable from the RV you may want to remove it and tip it so you get all of the water out. The next step can be a little bit on the nasty side, but you will want to empty out the black and greywater tanks. 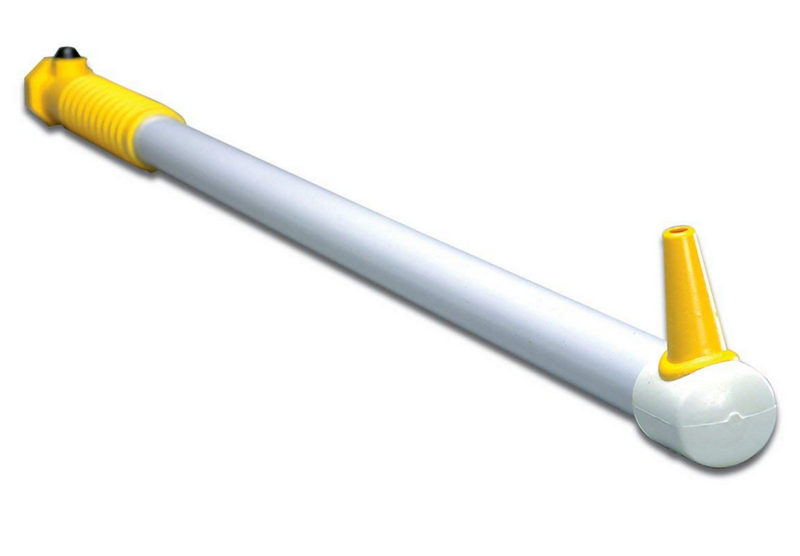 If you have an automatic draining system this will be the easy option, but if you do not then you may need to get a wand to make sure you are able to get all the crevices cleaned out when you are working on the tank. If you do have to use the wand, you may want to consider wearing gloves and a mask as this aspect can get a little smelly. The good news is some campers, like a folding travel camper may not have these tanks for you to use or have to clean out. Once you have these two tanks drained, you will have to go to the hot water tank. You need to make sure the tank is turned off and the water is cool, but you will also need to connect a hose to the drain valve. Then you will open up the drain valve and the pressure relief valve. This will allow the tank to drain and the air that is coming in from the pressure relief valve will keep the water flowing out of the tank. You also need to make sure you open all the valves in the RV for the water from the sinks, to the toilet. If you have a shower like many of the class A motorhomes will have you will need to make sure you have the valve on this open as well. This will help you get the water all out of the system and ready to be used the next spring. What else this does is help to introduce air into the system for the next step that will need to be used. The next step will be to take the lower drains that are in the water system and open them. These drains are usually going to have a plug on the bottom of the system and it will keep the water draining out of the system. It is important that you locate the lowest drain in the system as it will be the part that will get rid of the low lying bits of water to help keep the pipes from freezing in the middle of winter. Finally, you will want to close all the drains on the system and disconnect the hot water tank. 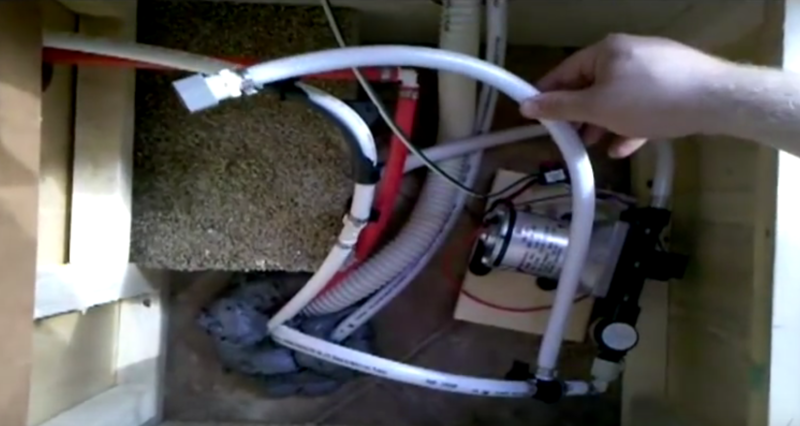 This can be done by using a bypass on the system or if you do not have a bypass you will want to consider disconnecting the hot water heater completely. If you do not disconnect the hot water tank, you will end up wasting at least six gallons of the antifreeze right away with the hot water tank filling up completely with the antifreeze before you even start to reach the water lines. 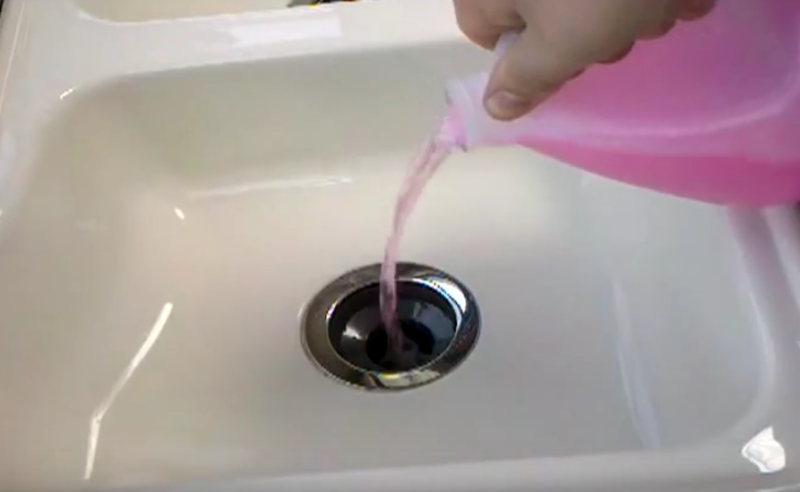 You also need to make sure you close the drains or you could end up getting all the antifreeze you are adding into the water lines draining right back out. 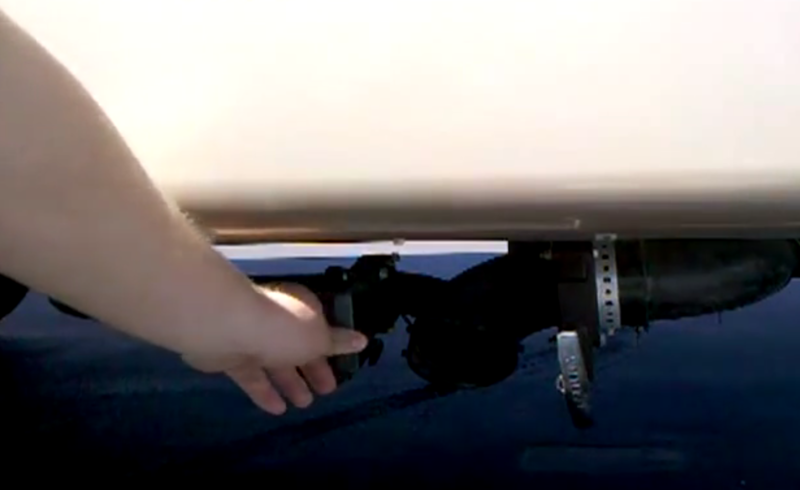 If you can, you will want to disconnect the inlet hose from the holding tank. This will then lead to you being able to get the antifreeze directly to the system and then you will be able to pump the antifreeze directly into the tank. Once you do have the hose connected to the inlet you will want to take the other end and put it in the bucket or container that has your antifreeze inside of it. If you have a container that you can use it will be the best option for you because then you do not have to worry about pouring out or spilling any. Once you have the hose connected into the inlet and the other section in the antifreeze you will want to start to get the pumping action going to get the antifreeze into the system. This is actually easier to do if you have a dedicated pump. 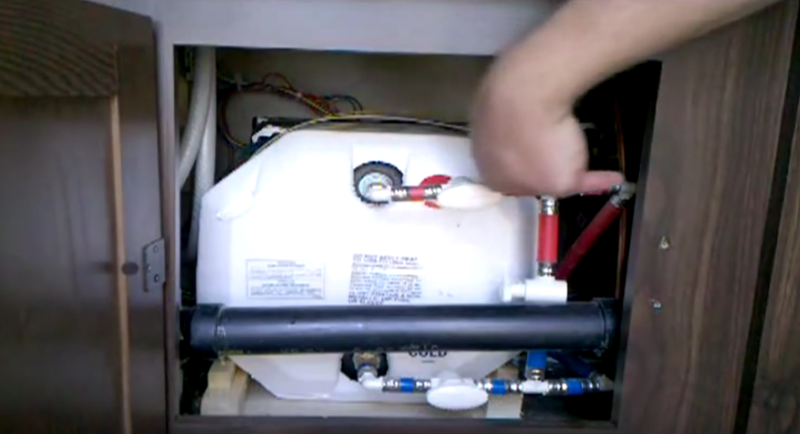 When you are getting the pump to get the antifreeze moved into the RV you will notice that it is going to be easier for you to get the antifreeze moved around the entire system. What else you will want to do before you get the system to start to pump through the pipes you will want to make sure everything is closed. This means to double check everything to guarantee it is all closed or you could end up having some major issues with the system not being properly sealed. When you have the pump started up, you will find that it is going to start to add some pressure into the system. This is going to make it easier for you to get the antifreeze spread through out the entire RV. The next step is going to be one of the more important steps because you will have to make sure you know the schematics of your RV and how the pipes are being run to make sure you are able to get the RV system around the camper and know it will allow you to get the RV properly protected. The next thing you will want to do is go to the faucets that are the closet to the inlet. When you do this you will want to open up these valves on the faucet. You should start with the hot water first and then the cold water. You will leave these open until you start to see some antifreeze start to come out of the pipes. Then you will turn the valves off. 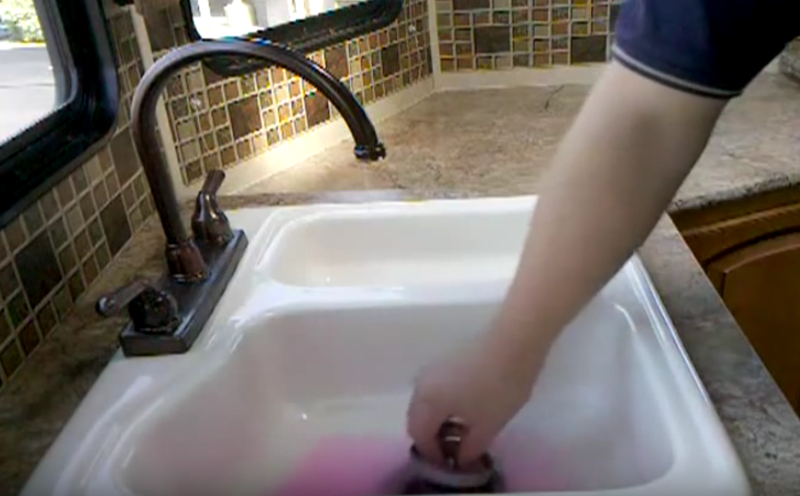 You are going to need to repeat this step until you get all of the faucets in the RV completely filled. It is important to replace the antifreeze containers as needed. If you can you should make sure you have someone on the outside keeping track of the antifreeze levels so you can get them replaced without losing any of the pressure you are trying to get built up in the system. 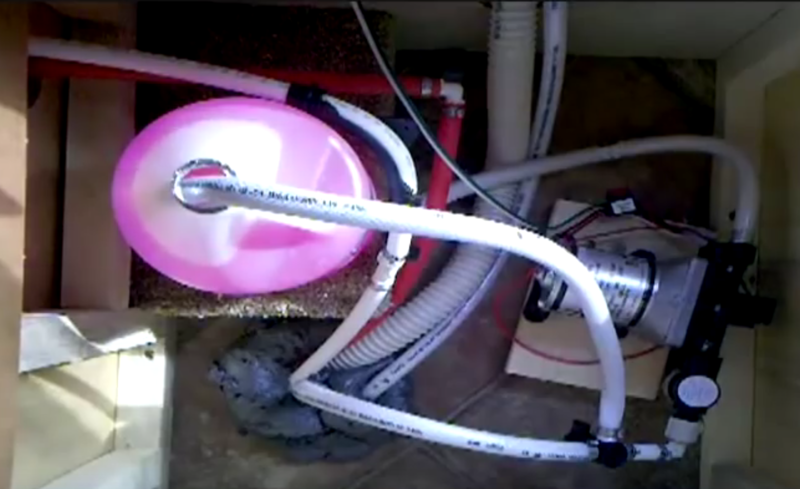 It is important that you do the same to your toilet as this is one valve that people do tend to overlook. You will want to go in and flush the toilet several times until the antifreeze appears. One of the last valves that you will want to check is the outside shower. This is generally only available in some of the smaller travel trailers, but some of the Class A motor homes will have an outside shower as well to provide a second shower outlet for people to use if they want to get cleaned up and not have to worry about the inability to get cleaned up. Once you have all the valves filled up you will want to turn the pump off. Then to bleed off the pressure you will need to open up a faucet to get rid of the excessive pressure that is inside of the system. Once you do this you will then be able to get on to the next step and know it will help to keep the entire system ready for winter. The next step will to find the city water inlet, this is the one you would use if you are hooked up to city water with your RV. When you locate this, you will want to remove the cover and gently push in on the valve here that is going to get the water to flow back to it. This will be how you get the antifreeze to this part of the system. Once it starts to appear you will then remove the item you are using to open the valve up and replace the cover or cap. Now all the pipes are ready for winter and you are ready to move onto the next aspect. That is making sure you have the hot water tank off. If it is an electric that means disconnecting the power by the breakers or removing any of the pipes. If it is gas, it means turning the gas off and shutting off the pilot. If you have any ice makers or water machines in your RV you will need to check with the specific manufacturer to see how they recommend you to winterize these pieces of equipment to guarantee you do not damage them. Being able to go camping all summer can be very rewarding, but for a lot of people, they are not sure what they need to do when it comes time to winterize their RV. By knowing about how to winterize an RV it will be easier for you to get the RV ready for winter and know the following spring it will be very easy for you to get the RV ready to go the next spring and know you will be able to get out into the camppgrounds before anyone else, because you properly winterized your RV.